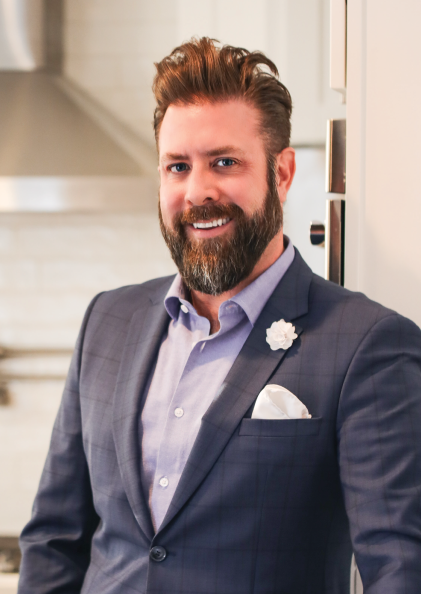 As co-owner of Platinum Real Estate Professionals, Anthony Knight has used his technology and people skills to become one of Las Vegas’s top-producing indie brokers in just three years. Here is his story. When Did You Get Started in Real Estate? Anthony: I began my real estate career in March 2009 during the recession. At that time, the business was all about short sales and REOs (real estate owned by banks). There were not a lot of equity sellers, so I focused on working directly with buyers. I joined Century 21 and in nine months had closed 48 transactions and was the top producer in that office. Anthony: I moved to RE/MAX in January 2010 and started leveraging technology. I realized most of our Las Vegas buyers were coming from out of state or foreign countries. I invested in one of the early lead generation/CRM systems and was soon getting 100 leads a month. That year I did 73 transactions and brought on my first assistant. Tell Us About Your First Hire. Anthony: I realized I needed a transaction coordinator to handle the administrative side. She began taking care of the files and documents and setting up searches for our buyers. Real estate professionals enjoy working with people and having a transaction coordinator frees you up to spend more time with buyers and sellers. It also reduces the risk of missing something in the file that’s important, such as a disclosure, etc. Anthony: My third year in real estate I did 106 transactions, the highest number at my RE/MAX office, and continued to be the top producer after I moved to Keller Williams in 2012. As I brought new agents to my team, I was able to delegate much of the training to my administrative assistant. One of the important lessons I learned is that it’s much better to start with an admin, so you have an organizational structure in place before you recruit other agents. By the time I left KW in July 2015, I had five agents and my transaction coordinator with me. Why Did You Decide to Become an Independent Broker? Anthony: First of all, I wanted more control over my business and my career. As an owner, I could instill my values and develop a very positive culture for my team. But a second reason was technology. As my business grew, I invested in the most effective digital technology, rather than the CRM, lead generation and social media tools from the three franchises. I felt like they were falling behind on the times and in some cases resisting change, being in denial. Anthony: I run my own business an “S” corporation under the Platinum brand. It’s a 2,100-square-foot office with 12 agents and four administrative staffers. We expect to handle 400 transactions this year. We closed roughly 350 sales last year with 10 agents. Anthony: We are all about digital marketing. The days of door knocking are in the past. I like to see it now as “digital door-knocking” and emphasize “web appeal,” rather than curb appeal. A big contributor to our success is CINC, which has the best CRM platform in the market. We receive roughly 600 to 800 leads a month, and CINC is great at scrubbing them, as well as managing our database. Their team works great with my admins, always there to help. Anthony: With our transaction coordinator in place, our agents are free to focus on their leads. We also have a client relations manager who stays in touch with our buyers after closing. When it’s time to sell, we expect them to call us, and about 80 percent of our listings now come from past buyers. Buyers become sellers. It’s always their next move. How Do You Handle Training? Anthony: Every Tuesday at 10 a.m., we have our team meeting with everyone in the same room. In addition, every week our trainer/accountability partner has a 20-minute one-on-one conversation with each agent to review the agents’ CINC dashboard activity. That’s also when agents can ask questions and be educated about any new tools. How Do You Reduce Agent Turnover? Anthony: While we offer a better commission split than our competitors, that’s not the main reason my agents stay with our team. I spend time helping them build careers and plan for their future. Many have come in as new agents, then get married, start families and buy homes of their own. I have brought in financial planners to help them manage their money, etc. while growing as individuals. I care as much about their growth as I do my own. I’m nothing without them. How Can Indie Brokers Develop a Positive Culture? Anthony: Be authentic and find a cause everyone can support. In our case, we are passionate animal advocates and believe in raising awareness when it comes to animal abuse. We partner with several no-kill animal shelters and created a social media post called, “Foster Friday” where we display a picture and description of a pet each week in need of a forever home. We spend thousands of dollars each year, promoting these posts and the results have been outstanding. Our tag line is, “At Platinum Real Estate Professionals, we not only help people find homes, we help pets find homes too.” We also match our client’s donations from our commission to one of the shelters we endorse. Meanwhile, our team members often bring their dogs to work, which makes us all wag our tails. As an Indie Broker, What Qualities Do You Look for in An Agent? Anthony: I have found that experienced agents often come with bad habits from the past or entitlement. It is often easier to train a new agent to fit in with your team and your culture. Our interview process includes attending a team meeting to be sure our current agents are comfortable with a newcomer. In general, I look for self-motivated individuals with clear goals, but without a big ego. It also helps to be an animal lover! Any Other Advice for Indie Brokers? 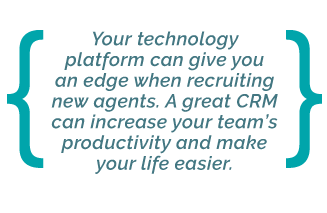 Anthony: Your technology platform can give you an edge when recruiting new agents. A great CRM can increase your team’s productivity and make your life easier. Finally, don’t get set in your ways. This business is always changing, and you need to keep learning to stay in the forefront of our profession.